‘Bowman Park’ is situated just east of Crystal Brook. A small patch of mallee scrub south of Keith. Adelaide, the capital of South Australia is surrounded by parklands. The Adelaide Botanic Gardens / Botanic Park form part of the Adelaide Parklands and are within easy walking distance from the city. Aldinga Scrub CP is the largest remaining patch of scrub along the coast south of Adelaide. A great place to see birds only a few kilometres NE of Lyndoch in the Barossa Valley. A small area of remnant scrub at Tea Tree Gully. Anstey Hill Recreation Park is in the NE foothills overlooking Tea Tree Gully. A small wetland area adjacent to Breakout Creek (River Torrens outlet) at West Beach. The Australian Arid Lands Botanic Gardens are situated between the Stuart Highway and Spencer Gulf at Port Augusta West. This park is situated in the Murray Mallee between Swan Reach and Loxton. Bald Hill Beach is c. 14km south of Port Wakefield. Bangham Conservation Park is located 45 km north east of Naracoorte. Banrock Station Wine and Wetland Centre is 3 km NW of Kingston on Murray. Bascombe Well Conservation Park is south of the Birdseye Highway near Lock. Beachport Conservation Park is just north of Beachport between Lake George and the Southern Ocean. Belair National Park is the oldest park in South Australia and only 13km from the city centre. Big Swamp is on the Flinders Highway, 20km NE of Port Lincoln. This large park with a varied range of habitats is north of Olary on the Barrier Highway. Bird Islands Conservation Park is situated at Warburto Point, Yorke Peninsula about 10km S of Wallaroo. Black Hill Conservation Park is only 16km from the Adelaide CBD in the north-eastern foothills. Blackwood Forest RP is located at Hawthorndene 14.5km south of Adelaide. Bool Lagoon GR is 24km south of Naracoorte. These wetlands are north of Henley Beach Road at Lockleys. The park is in the Adelaide Foothills at Mitcham and only 10km SE of the city. This patch of scrub is off the Princess Highway between Callington and Monarto. Bucks Lake Game Reserve is adjacent to Carpenter Rocks. A small patch of dense pink gum scrub overlooking the lakes SE of Ashbourne. This reserve is c. 40km west of Keith. Bushland Park is one of the largest reserves of remnant bushland in the upper catchment zone of the Onkaparinga Valley. Butcher Gap Conservation Park is 6km S of Kingston, SE. A constructed wetland at Reynella East. Campbelltown is a north-eastern suburb adjacent to the River Torrens. This park is in the transitional zone between the rounded hills of the Mid North to the beginning of the rocky gorge country of the Flinders Ranges. This small park is in the eastern Mount Lofty Ranges near Charleston. Clayton Wetlands is a camping area along the Birdsville Track. This park is in the highest part of the Mount Lofty Ranges. One of the few remaining blocks of scrub between Port Broughton and Port Pirie. Port Arthur is at the head of the Gulf of St Vincent 16km NW of Port Wakefield. The park is located between the suburbs of Salisbury East and Golden Grove. Cooltong Conservation Park is 8km NE of Berri. Goolwa Barrage is about 5.5km SE of Goolwa. Coromandel Valley is south of Blackwood. The Sturt River is the boundary between the Cities of Mitcham and Onkaparinga. An area of scrub near Ashbourne on the Bull Creek Road. This small patch of remnant vegetation is in the Upper Torrens Catchment area. Currency Creek Gorge is off Alexandrina Road about 5.5km NNW of Goolwa. The D.B. Mack Reserve is a National Trust property between Blanchetown and Waikerie. A very small patch of scrub 6km S of Willallooka. Deep Creek C.P. is the largest area of stringybark forest conserved on the Fleurieu Peninsula. This park on the Riddoch Highway is only 16km NW of Padthaway. Englebrook Reserve is a National Trust of SA reserve at Bridgewater. This small park east of Delamere is close to Waitpinga Conservation Park. Ettrick Conservation Park is along Glenburr Road c. 35km NE of Murray Bridge. Fairview Conservation Park is 17km N of Lucindale. Ferguson Conservation Park is a small park at Stonyfell in the eastern foothills of Adelaide. A large block of mallee scrub along Chaunceys Line Road between Mount Barker and Murray Bridge. This park can be found between Cox Scrub and Mount Magnificent Conservation Parks. The Cape de Couedic section of Flinders Chase National Park is at the south-west end of Kangaroo Island. Furner Conservation Park is NE of Beachport. The park is west of Ashton. Glen Roy Conservation Park is almost mid-way between Naracoorte and Penola. Glenelg North straddles the Patawalonga Creek between Glenelg and the Adelaide Airport. A good place to see waterbirds near Goolwa. Granite Island, off Victor Harbor is the most visited park in South Australia. Greenfields Wetlands, Stage 2 are 18km north of Adelaide. The largest section of the Greenfields Wetlands and a great place to see birds. Guichen Bay Conservation Park is located 8km N of Robe. A large park with a variety of habitats 40km SW of Keith. Hacks Lagoon CP is 20km S of Naracoorte. Hale Conservation is on the south-easttern outskirts of Williamstown. Happy Valley surrounds the reservoir 19-20km S of Adelaide. Hart Lagoon is on the outskirts of Waikerie. Hawthorndene is a southern hills suburb between Blackwood and the Belair National Park. A small reserve 16km N of Victor Harbor. Hope Valley is situated in the north-eastern suburbs of Adelaide. Innes National Park is at the south-western foot of Yorke Peninsula. This site is close to Echunga. This park is in the Barossa Ranges about 12km SE of Tanunda. Karte Conservation Park is 30km NW of Pinnaroo. Kelly Hill Conservation Park includes the Kelly Hills Caves and Grassdale Lagoon. A small park adjacent to the Duke’s Highway and 10km NW of Keith. One of the four sections of the Kenneth Stirling Conservation Park easily accessible from the South-Eastern Freeway. These ponds are on the northern outskirts of Goolwa. This park is at the southern end of Kuitpo Forest SW of Meadows. Lake McIntyre (Millicent) is c. 49km NW of Mount Gambier. A large coastal park on western Eyre Peninsula north of Elliston. 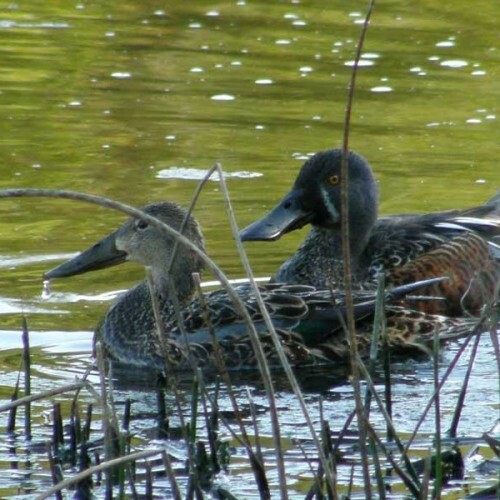 Laratinga Wetlands at Mount Barker is a great place to see birds. Mitcham is an inner southern suburb in the lower foothills. Lawari Conservation Park covers an extensive area at the eastern end of Hindmarsh Island. Lenger Reserve is a National Trust of South Australia property NE of Mannum. Little Mount Crawford NFR is one of three reserves in the Mount Crawford Forest area. Lowan Conservation Park is c. 20km NW of Karoonda. Mannum Waterfalls are a spectacular sight when Reedy Creek is flowing. Marino is a south-western suburb of Adelaide overlooking the Gulf of St Vincent. The park features medium and steep sloping hillsides, rounded ridge-tops and narrow valley floors. Mary Seymour Conservation Park is close to Big Heath Conservation Park and Bool Lagoon Game Reserve. Mimbara Conservation Park is 25km NE of Robertstown and east of Worlds End Highway. Mitcham is an inner southern suburb of Adelaide. A small area of remnant mallee 6km south of Monarto South. An area of 194 hectares set in very rugged hill country with mainly stringboards and river red gums. Montecollina Bore is off the Strzelecki Track, between Lyndhurst and Innamincka. Moorunde Wildlife Reserve was established for the protection of the Southern Hairy-nosed Wombat. A great place to find birds along the River Murray at Morgan. 2015 marked the 100 year anniversary of the proclamation of Morialta Falls as a National Pleasure Resort. Morphett Vale is the largest suburb in the metropolitan area of Adelaide in the City of Onkaparinga. This park is only 13km N of Victor Harbor. Mount Brown Conservation Park is situated south of Quorn in the Flinders Ranges. Southern Emu-wrens can be found at this site if you are lucky. This park is close to the South-eastern Freeway. The Mount Loft Botanic Gardens has a range of natural and man made habitats. This park is near Mount Compass. A small park with diverse habitats 12km south of Keith. Alligator Gorge is 10km S of Wilmington. This section of Mount Remarkable National Park is located 45km north of Port Pirie. Access is from National Highway One via Mambray Creek Road. Mount Scott C.P. is located 22 km east of Kingston SE. Muddle Wirra Reserve (Pengilly Scrub) is 5km SE of Wasleys. Mulbura Park Reserve is a National Trust Reserve near Port Vincent. Mungeranie Wetlands is a great place to stop for lots of bird on the way to Birdsville. The northern section of Munyaroo Conservation Park is c. 57km SW of Whyalla. The Lookout is a great spot to see birds at the Murray Mouth. Mutton Cove Conservation Reserve is on the LeFevre Peninsula adjacent to the Port River. This park is close to Mylor and in the wetter part of the Mount Lofty Ranges. Nangawooka Flora Reserve is situated on the Adelaide – Victor Harbor Road about 5 km north of Victor Harbor. Nangwarry Native Forest Reserve is located about 10km south of Penola. This park is close to Victor Harbor and a good place to see sea-birds close inshore when the weather is a bit rough. Ngaut Ngaut Conservation Park is about 8km N of Walker Flat. This very small park is on the edge of Myponga Reservoir. Novar Gardens is in the south-western suburbs near the Adelaide Airport. A narrow strip of remnant mallee along the old railway line from Milang. The park overlooks the southern suburbs of Adelaide. The park follows the Onkaparinga River upstream from Old Noarlunga through the Onkaparinga River Gorge. This section is the south-eastern part of the Onkaparinga River National Park off Whitings Road. This park at the end of the Onkaparinga River is a great place to see waterbirds. Padthaway Conservation Park is two kilometres north east of Padthaway. This park is east of Terowie. This park in the northern Adelaide hills is close to Elizabeth, Gawler and Golden Grove. Pelican Lagoon Conservation Park is 20km SW of Penneshaw. Penambol Conservation Park is located approximately 22 km south of Mt Gambier. Penola Conservation Park is about 12km W of Penola. Pinnaroo Wetlands are situated between the Mallee Highway and the railway line. Point Davenport Conservation Park is on the south coast of Yorke Peninsula. A small wetland area close to Bordertown. This park is between Morgan and Overland Corner NE of Waikerie. Porter Lagoon is off the Barrier Highway south of Burra. This park is only 4km NE of Lobethal. Ratalang (Basham Beach) Regional Park is at Port Elliot. This park is only 15km E of Burra in the mid-north. This narrow park was formerly part of a Travelling Stock Route. A narrow permanent wetland on the eastern side of the River Murray near Murray Bridge. Roachdale Reserve is a National Trust of SA property near Kersbrook. A small man made wetlands off Mannum Road at Murray Bridge. Where is it? : Roonka Conservation Park is on the western side the Murray River about 8km N of Blanchetown. Owner: Department of the Environment, Water and Natural Resources Property summary: Total area 102 hectares. Hundred of Hay – Sections 4 and 5…. Saint Kilda is only 30km N of Adelaide. Sandy Creek Conservation Park is situated between Sandy Creek and Lyndoch in the Barossa Valley. Scott Conservation Park is c. 7.5 km NW of Currency Creek. A variety of habitats including exotic and native plantings as well as some of the higher rainfall areas of native vegetation. Semaphore South is a north-western coastal suburb. This park with large River Red Gums along the creeklines and Grey Box woodland on the upper slopes is close to Adelaide. An easy spot to see waterbirds near the mouth of the Onkaparinga River. Spring Gully Conservation Park contains the only occurrence of Red Stringybark in South Australia. This park is c. 15km SE of Myponga. St Peters Billabong is only4.5km NE of Adelaide. This park bisected by the River Sturt is only 11km from Adelaide between the suburbs of Bellevue Heights and Flagstaff Hill. This park in the Murray Mallee is only 10km west of Swan Reach. These wetlands border the River Murray adjacent to the Swanport Bridge. This small reserve is on the drier eastern side of the Mount Lofty Ranges near Tepko. This park near Cape Jervis includes the heritage listed Talisker Silver Lead Mine ruins. Tangari Regional Park is one of many reserves in the City of Onkaparinga area. These treatment ponds are on the outskirts of Tanunda. Telford Scrub Conservation Park is 14km N of Mount Gambier. Telowie Gorge Conservation Park is located 25km NE of Port Pirie. The Dutchmans Stern Conservation Park is north-west of Quorn in the Flinders Ranges. This is a man-made wetlands at Para Hills West. A perennial lagoon south of Aldinga Scrub Conservation Park. A great place to see lots of shorebirds on the Samphire Coast. A Swamp Paper-bark Woodland / Wetland near Goolwa. This small park is close to Mount Barker. Wabma Kadarbu Mound Springs Conservation Park is on the Oodnadatta Track between Marree and William Creek. Only 6km from the centre of Adelaide the Arboretum is part of the Waite Historic Precinct. This reserve remains one of the best surviving example of Grey Box Grassy Woodland on the Adelaide Hills face area. This small park is c. 18km E of Delamere. This wetland is located in the centre of Port Pirie. Warren C.P. is immediately south of Hale C.P. between the South Para and Warren Reservoirs. The Warriparinga Wetlands is on the corner of Marion and Sturt Roads, Bedford Park. Watiparinga Reserve is a National Trust of SA property at Eden Hills adjoining Shepherds Hill Recreation Park. Watts Gully NFR is about 13km S of Williamstown. 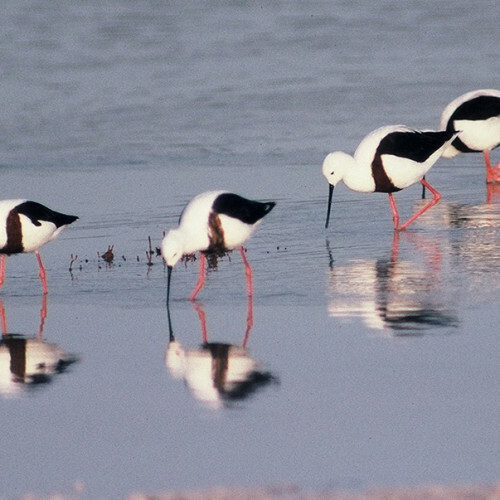 Weeroona Island is about 15km N of Port Pirie with a variety of habitats. This narrow strip of park is between Morgan and Burra. Over 100 species of birds have been recorded in this small wetland area. This park is 10km north of Whyalla. These wetlands are in the suburb of Whyalla Playford. Wills Creek Conservation Park is situated on the north-western shores of Gulf St Vincent extends south from the township of Port Clinton south to the town of Price. Winninowie Conservation Park is 34km N of Port Germein. These gardens feature Australian and South African plants. A group of parks at Stirling in the Adelaide Hills. This park is about 3km SE of Myponga.